The Flying Pig has landed in Beloit. 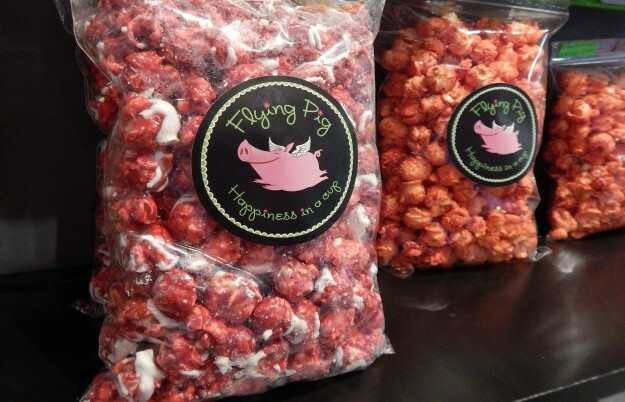 The Flying Pig, a popular treat shop known for its many shaved ice flavors and toppings, opened its doors in downtown Beloit in November 2014. “We wanted to expand and thought downtown Beloit would be the perfect spot,” says Lisa Dodd, who owns the business with husband, Greg. The Dodds and their four children moved to the area eight years ago, after living in Little Rock, Ark., where Lisa practiced law for 17 years. In 2008, the family opened its first Flying Pig locating in Roscoe, out of a trailer in the parking lot of a Hilander grocery store before relocating to a Rockton storefront. The name, The Flying Pig, combines Greg’s work as a pilot and the family’s deep Arkansas roots, home to the University of Arkansas Razorbacks. The shop has an expansive menu that includes Vietnamese coffee, espresso, steamers, frappes, smoothies, tea and many ice cream selections, as well as healthy, meal-replacement smoothies, and, of course, the popular shaved ice. The new location at 430 E. Grand Ave. is on the ground floor of the Phoenix Building, which is drawing a wide-range of customers including students, families and seniors. 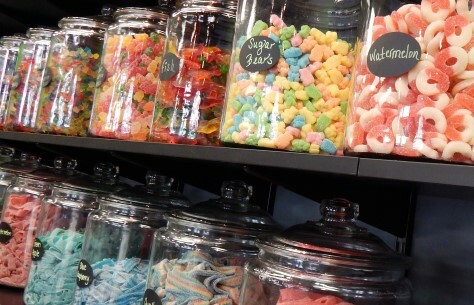 The shop is bright, colorful and filled with a tasty aroma. Dodd hopes to one day cater birthday parties, graduations and other special events as well.